City restaurants are buzzing right now with waves of revelers, office parties and out-of-town guests. In the midst of all that kitchen chaos, you’ll find some very busy chefs. 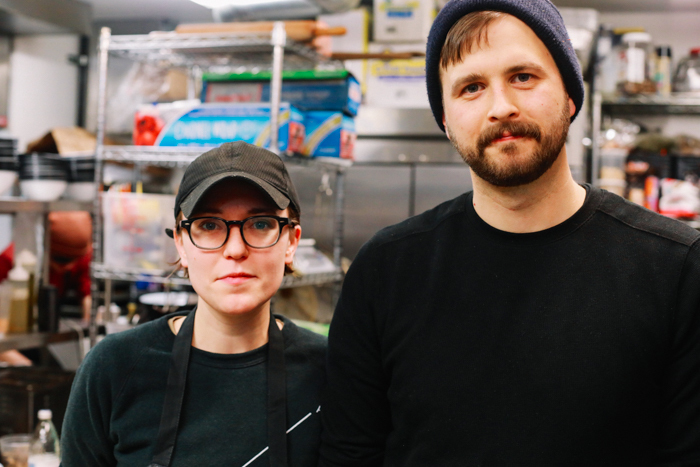 We wondered how people whose job it is to cook and curate menus all day get inspired to cook at home during the holidays. So we asked them to share their inspirations with us. The answers ranged from clean and simple creations made with little fuss to more elaborate efforts in rekindling kitchen traditions. 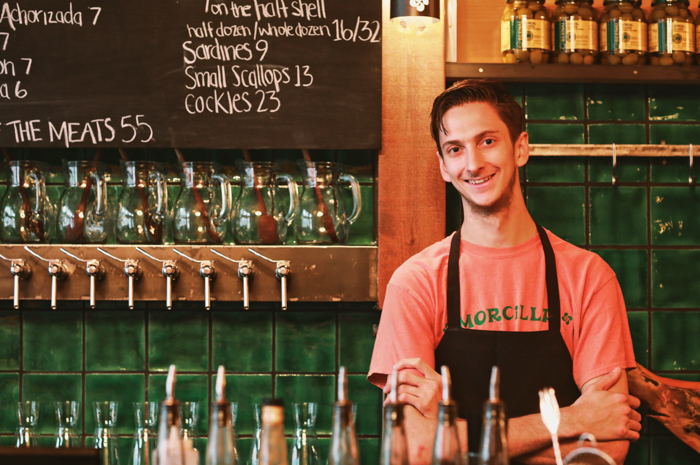 Nate Hobart, chef de cuisine and partner at Morcilla. When I’m home for the holiday, I try to not do that much cooking. Both my parents are very good cooks, and they like to treat me so I am able to rest. However, I do really enjoy showing them how great food can be simple. My parents grow a garden year-round, so I always enjoy utilizing what they have to offer, though, during this time of year, their vegetables are very limited. Last time I was home for the holidays I showed my mom how we make all of our creamy vegetable-based soups at the restaurants. In this case there were some really nice Pennsylvania cultivated mushrooms at the local grocery store, so we decided to make a mushroom soup. We used white onions from the garden and sweat them out in brown butter until soft and sweet. Separately, we roasted our mushrooms in the oven until golden brown with some olive oil and herbs from the garden. Once the mushrooms were roasted we added them to the cooked onions and covered them with milk. Once the milk came back to a simmer we pureed the soup until it was creamy and smooth. 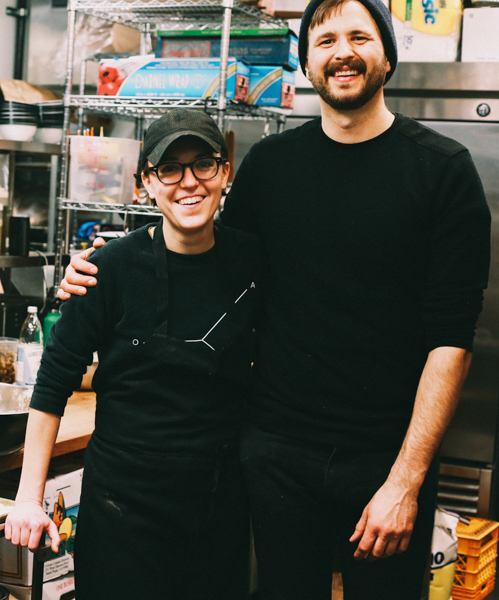 Kate Lasky & Tomasz Skowronski, chef-owners at Apteka. If we must have one thing to really warm us on a winter night, then the choice is simple: It’s got to be borscht, barszcz in Polish. And, if you have the luxury of it, maybe some cabbage and mushroom pastries to go with it. It’s a dish that heralds winter no matter the context. A thing of beauty, truly, is sipping some clear, deep, rich barszcz with friends and family next to a warm fireplace. But, it’s equally pleasant to drink while wrapping presents, playing with the grandkids, or even just sitting alone in your car, parked in an empty lot in Monroeville desperately scrolling through the Top 50 Cool Gifts for Teens. Our barszcz is a daylong stovetop project worth the effort. The classic method for Christmas Eve barszcz is a pot filled with peeled and quartered beets, halved and burnt onion, apple, carrot, and celeriac simmered in hearty vegetable stock, lots of black pepper, allspice, bay leaf, dried mushrooms, and salt to taste. The trick is to have an overwhelming amount of vegetables barely covered with the stock. Let it go for a few hours on medium heat. For balance, either prepare a beet kvass (a beet tonic) a few days in advance to add a bit of acid or just lemon juice if you’ve got too much on your mind already. Strain, serve and repeat until spring. 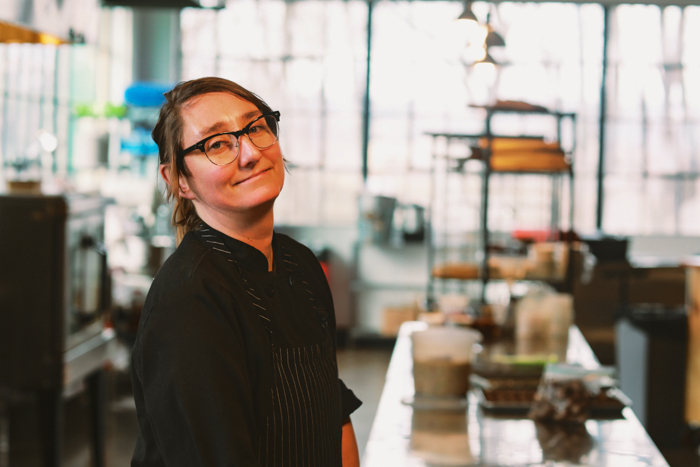 Kate Romane, chef-owner, Black Radish Kitchen. Winter salads are my favorite. I feel we all crave a good salad with all the consumption that comes along with the holidays. Cabbages and hearty greens are the last things coming from the farms this time of year along with root vegetables. The bitter greens play so nicely with the citrus that we start to see arriving in December. This salad works well for a daytime brunch or with a dinner. Put everything in a bowl until you are ready to dress the salad. Throw everything in a blender but the olive oil. Add slowly to emulsify then salt and pepper to taste. Dress salad with one cup at a time to taste. Reserve the leftover for future salad. 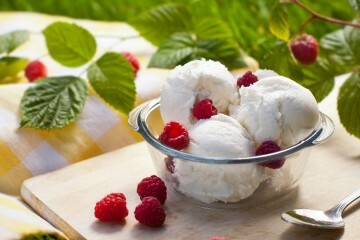 Keeps for two weeks in the refrigerator. 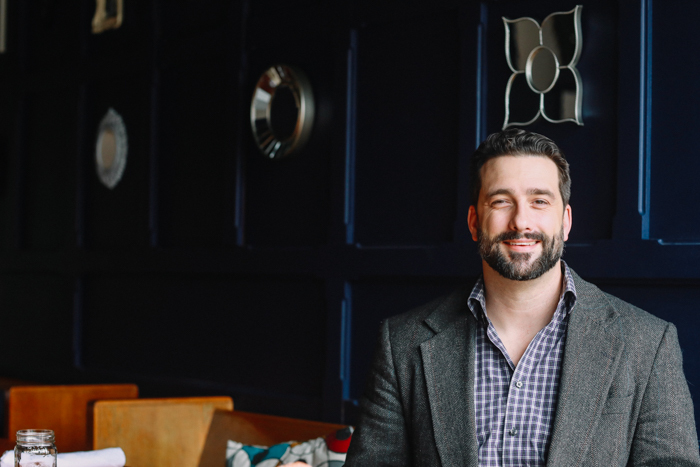 Don Mahaney, owner Scratch Food & Beverage. My favorite item to cook with my family over the holidays, or anytime really, is a very simple spaghetti squash dish. I try to keep things simple and clean when it comes to food. Remove the seeds from the halved spaghetti squash. Place the two halves on a sheet tray with a half-inch of water. Cover and bake at 375 degrees for 45 minutes. Scoop out the innards of the squash, and see why it’s named after a pasta. Preheat a 10-inch cast iron skillet. Brown a few tablespoons of plugra. Sautée the spaghetti squash. Salt and pepper to taste until you’re proud to serve. 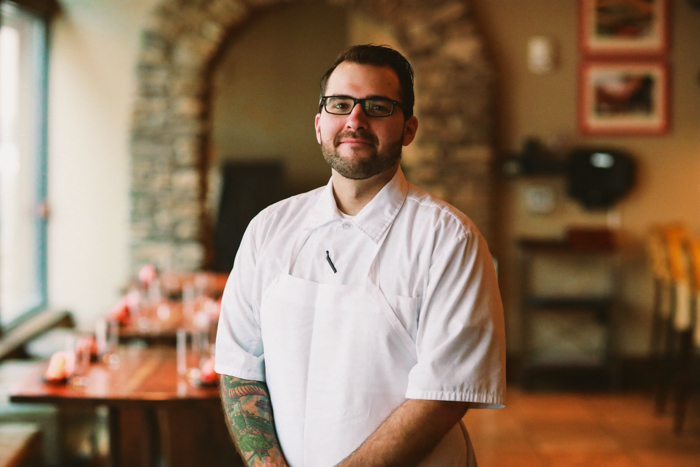 Wyatt Lash, executive chef at The Commoner. The dish I enjoy making is veal scallopini. This dish is near and dear to me because as a child my parents didn’t take us out to eat and my mom saved a lot of money by cooking at home. We ate a lot of pasta, rice and chicken and never really got to enjoy the finer things in life except for during the holidays. For the holidays, my parents would splurge on the things they enjoyed, and my favorite dish was veal scallopini, typically served on New Year’s Day. Over the years, the price of veal skyrocketed and it became a tradition less often. I remember the smell in the kitchen to this day; the veal was soaked in milk, dipped in egg and seasoned breadcrumbs and pan fried. In a separate pan, mushrooms, garlic, peppers and onions were caramelized with olive oil and a touch of sugar (a secret I didn’t learn for years), and everything was deglazed with marsala wine. It was served simply with angel hair pasta, salad with red wine vinegar and garlic bread—to this day I cannot recreate that garlic bread. I would eat until I couldn’t move; this was the meal I always looked forward to. 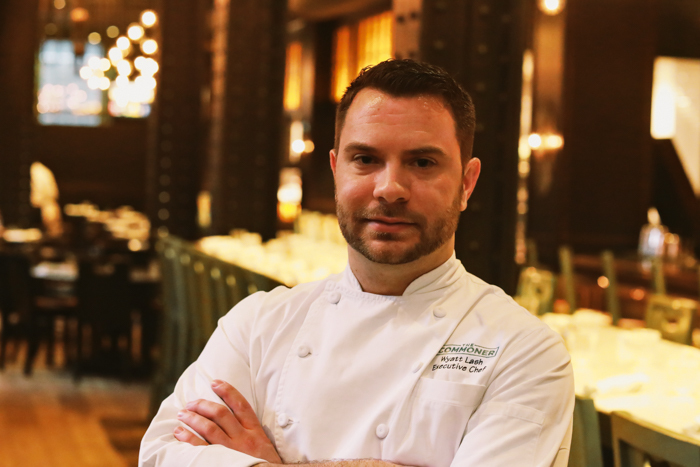 Steve Lanzilotti, chef de cuisine at Vallozzi’s. The meal I make for my family every Christmas is a roast tenderloin with a gravy made from the pan drippings. I make a whipped potato and frequently change up the seasoning, but a family favorite is smoked gouda and chives. In addition, I make mini crab cakes and work together along with my mom preparing the vegetable sides. It’s a simple dinner but still very tasty. My grandma from my mother’s side would do something similar every Sunday with a pot roast and potatoes, so this is my take on her dinner that we enjoyed so much in the past.